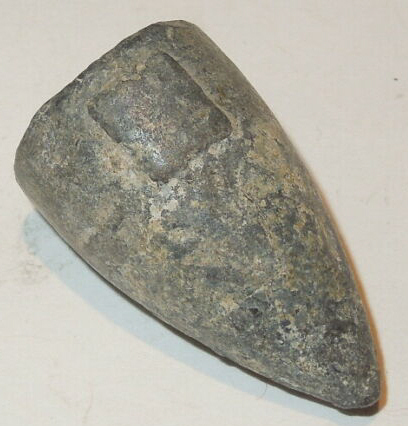 Location Recovered: I am guessing Crimea -- Charge of the light brigade! 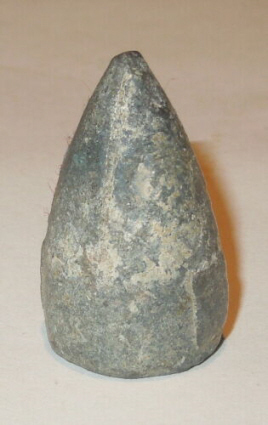 Description:Measures 0.6915 across the flats and 0.715" across the "lugs" McKee and Mason list this as a 75 caliber bullet (#39 in Civil War Projectiles II) and others have it as a 71 or 70 caliber bullet. 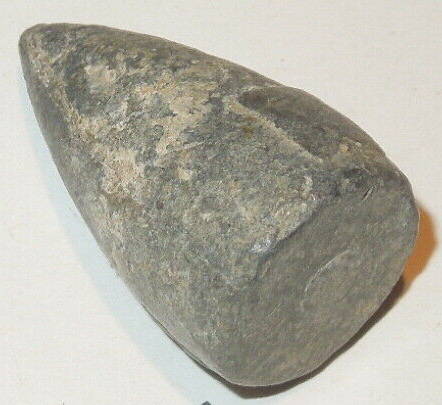 Conical version of the the belted ball design used in the 2 groove Brunswick rifle.